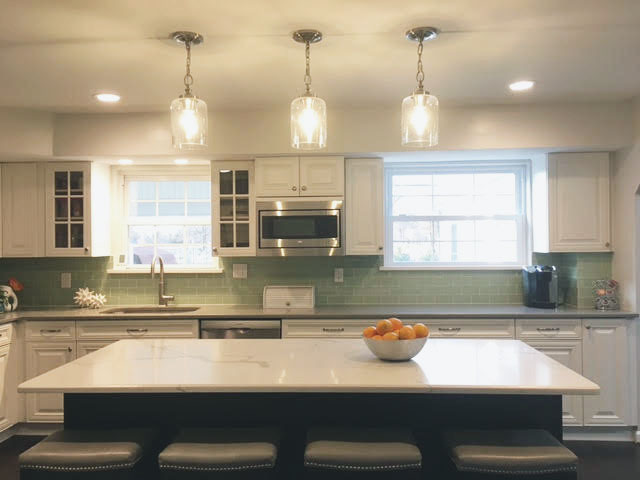 Below are designs and photos from our farmhouse renovation in Malvern, PA. Partnering with Ranieri & Kerns Associates on this large renovation, we expanded the kitchen, completely renovated the master bath and designed many built ins for additional storage throughout the home. Scroll down for larger images of the transformation! 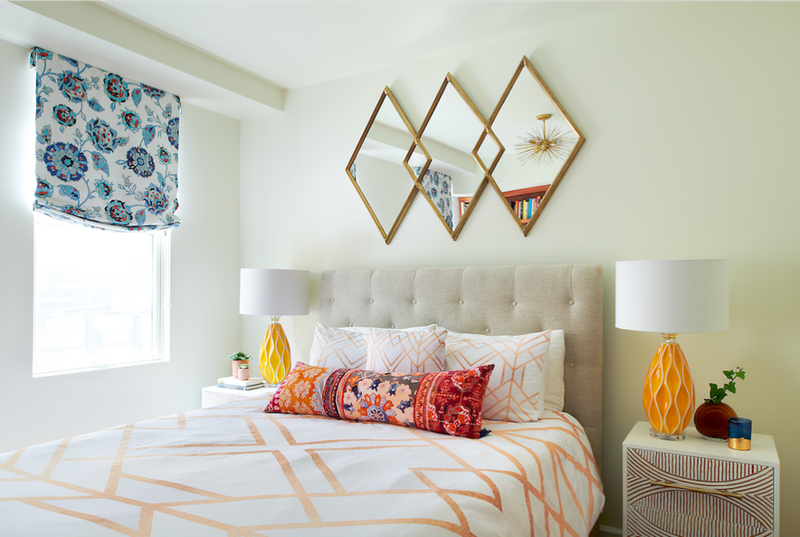 The Bryn Mawr Master Bedroom design below resulted in a comfortable, serene space for the family to enjoy together. 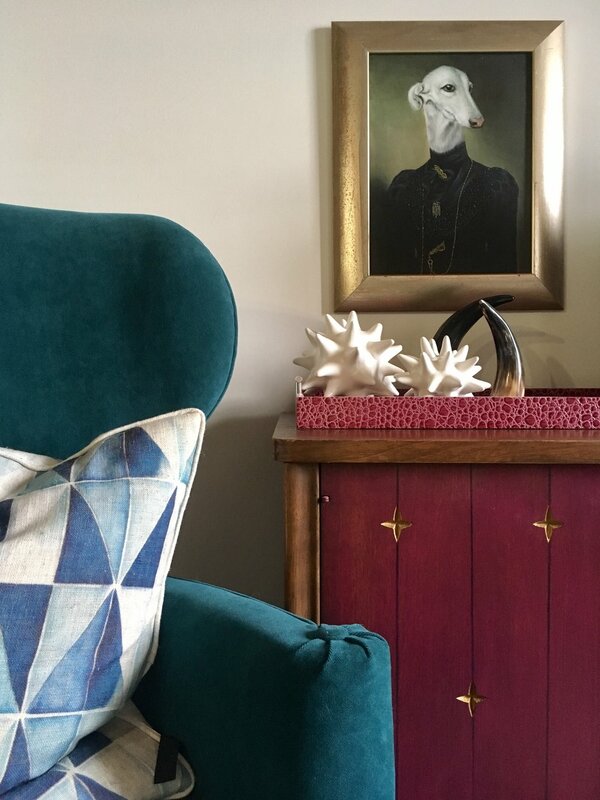 We used muted tones of yellow and green along with a mix of antique Kindel case pieces with more transitional upholstered pieces. The sofa at the foot of the bed is perfect for the kids to curl up on while the family watches movie together. The layered window seats add more functional space as well as frame out the beautiful views of the trees outside. And the relaxed roman shades in an embroidered sheer linen add privacy while allowing light to radiate throughout the room. 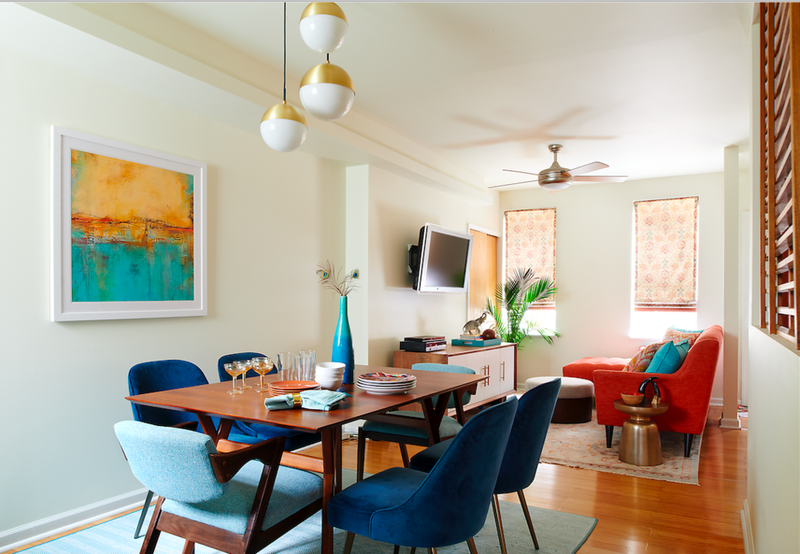 In 2018 we redesigned a center city townhouse in Fairmount for a fun, young family. 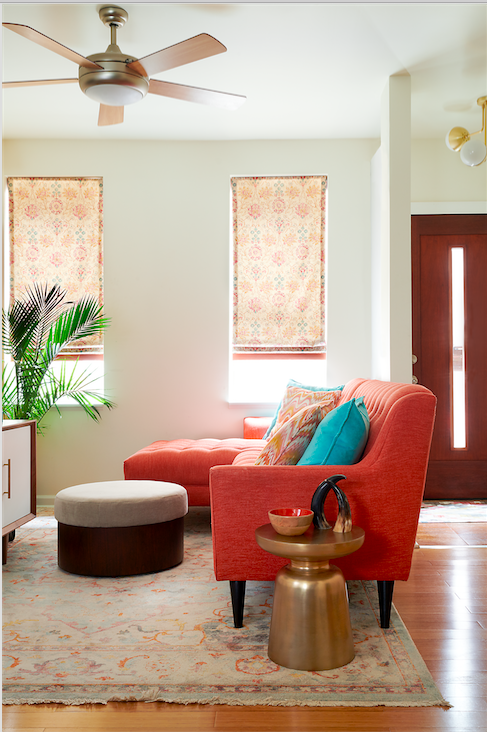 They love color, pattern and mid century style and we had so much fun creating this vibrant, family friendly space for them! 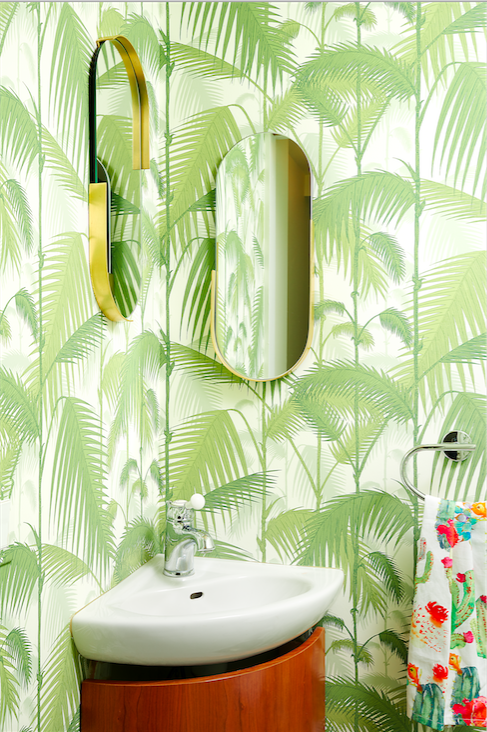 The bold palm wallpaper in the powder room, daring orange sectional and fun mixing of pillow patterns are a few of the design elements that make this unique project stand out. 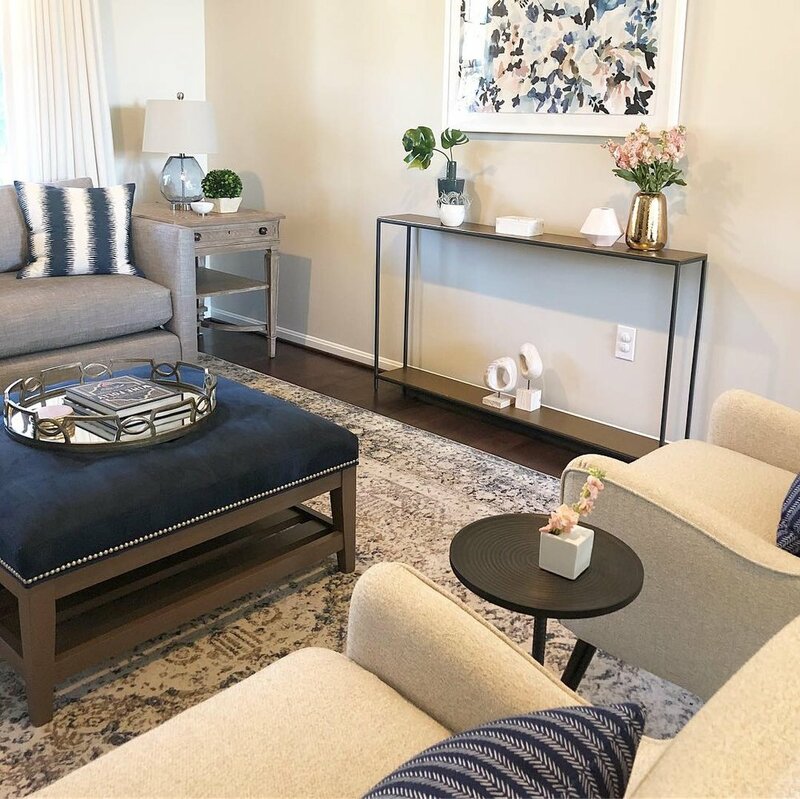 Tara Ryan Designs kept very busy last year with an extensive renovation project at The Symphony House. The layout of the kitchen and living areas was completely reconfigured in order to add a kitchen island and rework the layout so that it made better use of the space and showcased the amazing views. 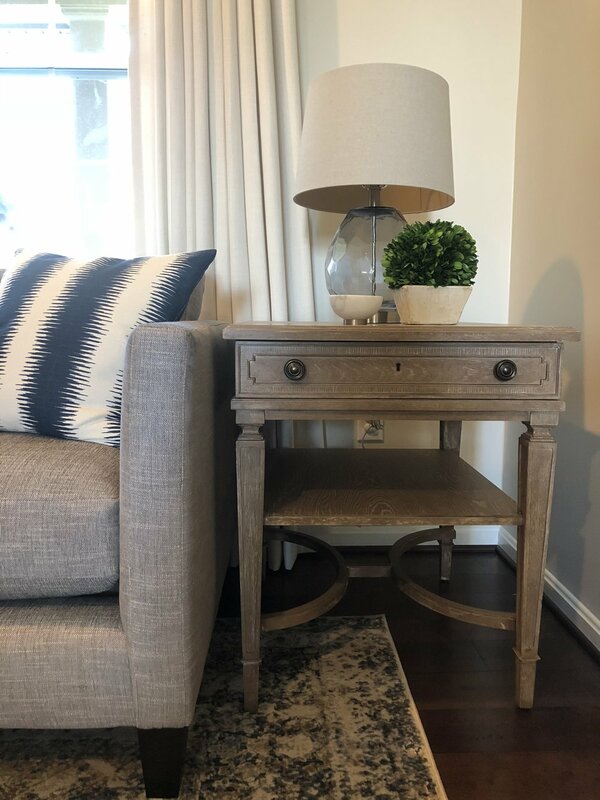 The sophisticated design features clean lines, brass accents, and soft tones to allow the client’s art to be the focal point. We are still adding finishing touches and look forward to sharing finished photography in 2019!